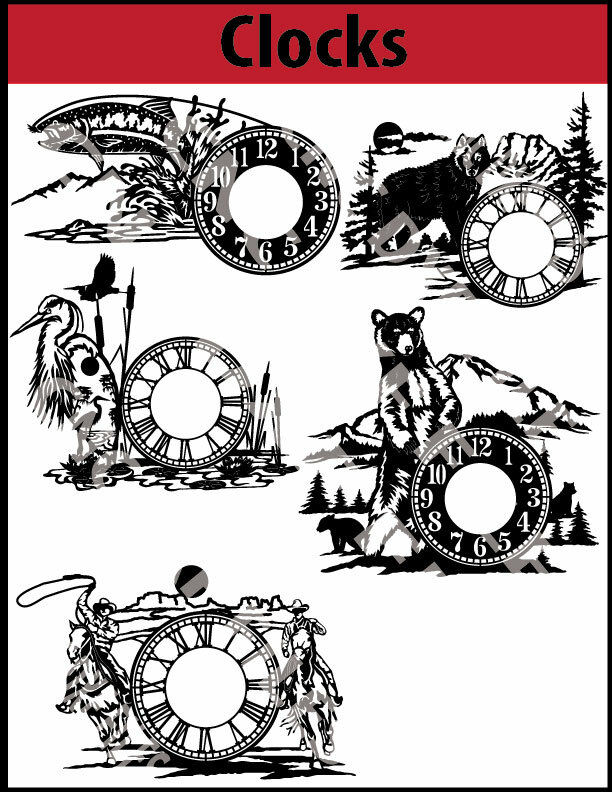 This Clocks product kit includes 19 individual designs that are ready to be cut with your CNC cutting system. These designs will be cut around 24″ x 36″ wide and tall. After you cut the design work you will need to weld or epoxy the backing plate into position so that a clock movement can be installed. Clock movements/motors will need to be purchased separately. Designs are compatible with CNC plasma, waterjet, laser and routing/engraving systems. Clocks will be approximately 16″ in Diameter. Most of the design work will between be 24″ and 36″ wide and tall. After cutting the design work you will need to weld or epoxy the backing plate so that you can attach a clock motion to it. Clock motions will need to be purchased separately.